Product information "Poplin Semi Spread Shirt - White / Sky Blue - Butcher Stripe - Regular Fit"
Light blue striped shirts are classics for a reason. But our rather wide butcher stripe is rarely seen. Wear it with solid suits in grey or navy and big-patterned ties in any color you can think of. Our tip: remove the collar stays to create a wonderful s-shaped collar roll. 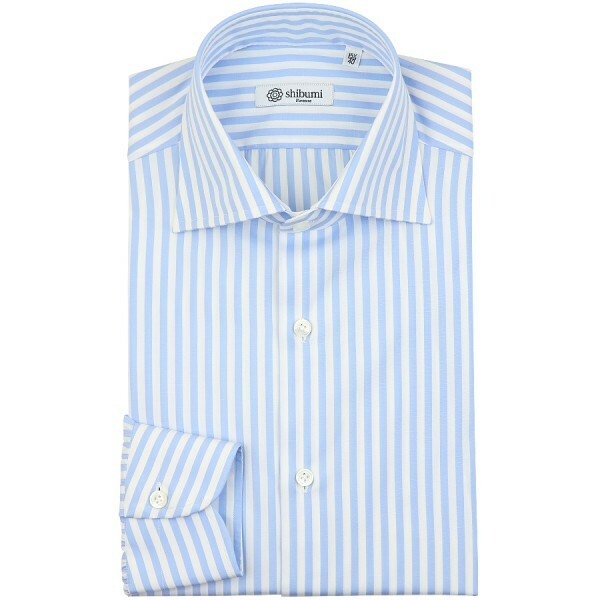 Related links to "Poplin Semi Spread Shirt - White / Sky Blue - Butcher Stripe - Regular Fit"